Demystifying Design is a workshop and an interactive session conducted by Prof. Mandar Rane (Faculty - Communication Design) and Prof. Purba Joshi (Faculty - Industrial Design) from the IDC School of Design, IIT Bombay. Due to the multidisciplinary nature of the discipline, finding a common ground to define design has always been a challenge. The workshop aims to demystify the definition of design for those who plan to venture into the design world or are in various professions of design but still find it difficult to articulate the term. This one day session is exclusively designed to clarify your doubts about what is design? It is therefore open for people from various professions including design. Aim is to foster understanding, by employing an unique approach of learning design through everyday observations, discussions and debates in applied contexts. In summary, we simplify understanding design. Explore the world of Industrial and Communication design by being a part of this. To think like a designer is a skill that can be learnt. It is a way of generating ideas to resolve design issues that are identified by observing and empathising with people within their context. The workshop showcases a plethora of real-life observations to introduce oneself to the ways of seeing. Examples in the workshop demonstrate the power of observation, as the key tool towards identifying needs, point of views, understanding human behaviours, building insights and improving one's design thinking. After these concepts form the necessary base participants analyse design acts using the Design Triad Framework. Join us so we can collaboratively demystify design. Learning through experience with hands-on tasks will hone your ability to externalise thoughts. Reflections on your ideas will help you articulate design decisions more meaningfully. The workshop acclimatises participants with the holistic meaning of the word 'Design' and therefore professionals from any industry/ academics interested in 'Understanding Design' must attend. Further the workshop will focus on discovering problems in the domain of Industrial and Communication design. The previous workshops were attended by professionals Product Design, Communication Design, Engineering, Animation, Game Design, UI, UX, Finance, Aeronautics, Marketing and students pursuing design courses. Get HfG Ulm booklet Free! with this purchase. Limited time offer! Till stocks lasts. Every participant is awarded a certificate from Continuing Education Program (CEP) office of IIT Bombay on completion of the workshop. 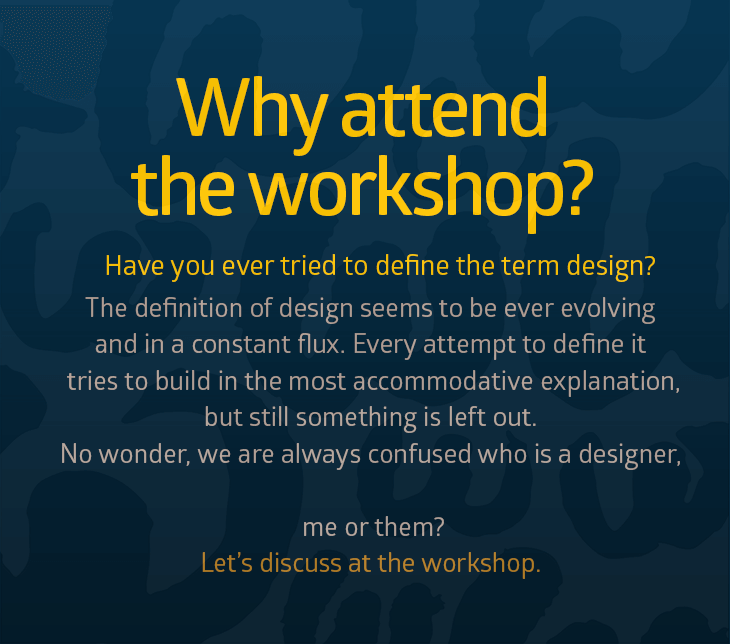 I am not a designer, I am confused whether I can attend the workshop? Yes, you can attend the workshop. Your background does not restrict you to get exposure into the world of design. We simplify understanding design. Why the seats in the workshop are limited to 15? This is a not a passive lecture session, it is a consciously designed lively conversation between participants and professors by exposing them to everyday observations to generate curiosity and enquiry. Therefore, to achieve mindful participation and conduct meaningful interactions with each one of you the number is restricted. Is it different from IDEO cards and Stanford design thinking process? The content of the workshop is not borrowed from the internet. 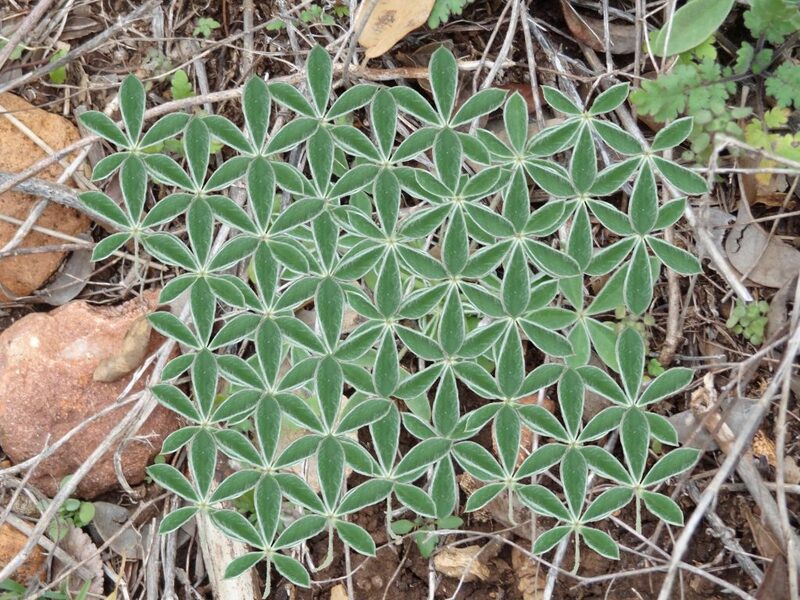 It has emerged from the unique way of learning through day to day captured observations. The workshop is based on the Design Triad Framework which help participants interpret and analyse any design act, in-turn clarifying the definition of design. Can you add one extra seat, I missed registration for the current workshop. The workshop is conducted very frequently, please register for the next one before the seats are full. We strictly limit our intake of participants. Can I get answers to my UCEED and CEED related queries in the workshop? No. This workshop is not a forum for guidance and coaching towards entrance exams like UCEED and CEED. What all is covered in my workshop fees? It covers your course fees, lunch, tea and snacks, campus map + notepad, four MRM thought books, The HfG Ulm booklet, 27 inches; Accordion - Design Timeline 1400 - 2010, Intro box and lecture notes. Registering for an individual or a group through a Company? Please Note: If you want to register through your company, IIT Bombay can generate a Pro Forma invoice for the same. Please send an email to workshopatidc@gmail.com for details. Can't make this time? Register for alerts. By registering you will receive the alerts towards early bird registration, discounts, number of seats left and notifications about upcoming workshops. Why I like shopping malls?